The Vans Warped Tour is an annual summer, cross-country music festival featuring primarily pop and punk rock, metal core and ska bands. The tour is known as the country’s longest running touring music festival, with its first tour dating back to 1995. This year, Warped Tour founder Kevin Lyman announced 2018 would be the festival’s final cross-country run. Since this announcement, fans have been anxiously waiting for and predicting the best lineup a final goodbye could ask for. The final lineup was officially released last week and brought me back to a state of nostalgia, but more so, a state of disappointment. Perhaps I, like many of the other fans, set our expectations too high, since nothing about the festival other than it being its final year has changed. But at the same time, I hoped this final tour would be a more exciting celebration of the festival’s accomplishments, including the many, now-successful bands it pulled into the spotlight. While the festival has always done its best to create a balance between inviting back the fan-favorites and paving way to help new artists establish their names, I have felt in recent years that the balance has become less equal. The festival has been featuring too many unrecognizable names, and this year is no exception. As someone who has followed these styles of music since the age of 14, I found that I recognize fewer and fewer bands on the official lineup. I admit, the festival has allowed me to get to know bands such as Knuckle Puck and Issues in a way I wouldn’t have without attending Warped Tour. But the incentive to buy a ticket diminishes quite a bit when I can’t recognize even half the bands anymore. 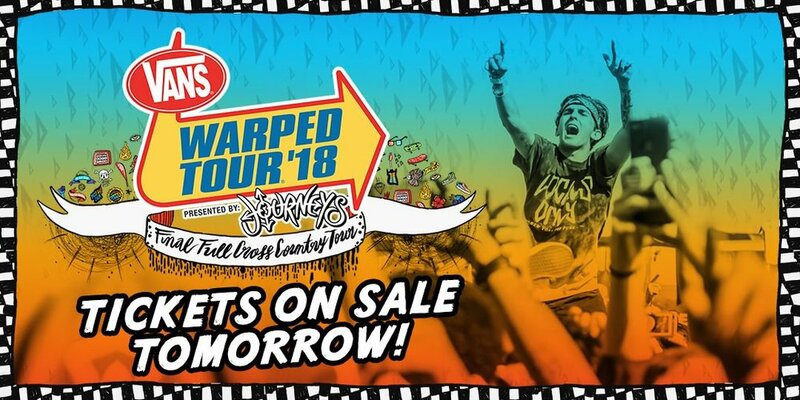 Now don’t get me wrong, Warped Tour is bringing back some well-known names, such as All Time Low, who hasn’t been on the road with Warped since 2012, and Bowling for Soup, a crowd favorite spanning several generations. What’s disappointing, however, is these names, along with a few other of the bigger names, will only be making appearances throughout select dates of the tour, rather than appear for the whole trip. This appears to be the case for about a third of the bands Warped Tour has on its lineup this year. In response to this, Warped Tour stressed a lot of bands they wanted to bring on the final tour already had summer plans including their own headlining tours or supporting another band on the road, according to its Facebook page. Another obstacle the festival faces is the fact that the music scene is nothing like it was even five years ago. For example, many regularly participating bands from the recent years, including some of my favorites, like Yellowcard, The Summer Set or We Are the In Crowd, are no longer making music together and are simply unavailable for that reason. However, even in the face of the music scene’s constant transformation, Warped Tour’s goal has always been simple and always been successful: to bring people together in the interest of good music. I guess the silver lining in all of this is that, unlike earlier years, I will struggle less with prioritizing which of my favorite bands I can see and it can truly be about the festival experience of discovering new music. Regardless of the lineup, I still see myself diving in, quite literally, with the crowd to make the most of my final Warped Tour experience and make my true parting from my pop-punk phase memorable. Lucy Littlefield is a campus correspondent for The Daily Campus. She can be reached via email at lucille.littlefield@uconn.edu.